2018 has been a year of landmark moments for the transgender community, leading to increased visibility and awareness across the country. This week, to mark Transgender Awareness Week, we’re taking a look back at the year and shining a light on ways that understanding and acceptance of the transgender community has grown. 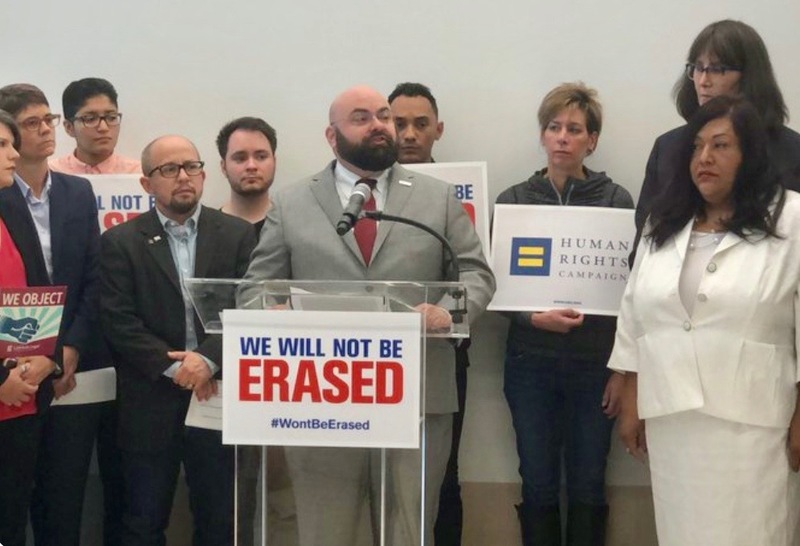 Take a look at this final post in our special Transgender Awareness Week series, click here to read Part 1 (about policy victories for transgender people at the state and local level) and check out Part 2 (about the #RainbowWave and historic electoral victories for transgender leaders). 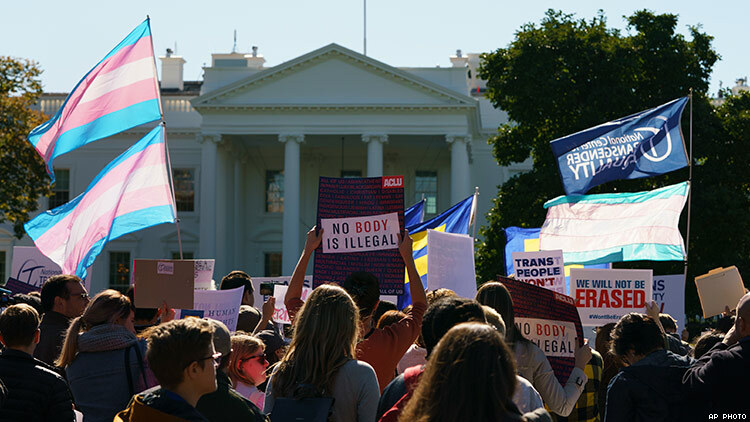 Continuing a disturbing trend begun upon inauguration in 2017, President Donald Trump and his administration this year have taken even more actions to chip away at the advancement of equality and dignity for transgender people. Most recently, a leaked memo reported by the New York Times revealed that the administration would seek to define gender as an immutable characteristic assigned at birth, essentially invalidating transgender and non-binary identity. The memo builds on negative actions from the Administration with regard to transgender people, including attacks on transgender students (with the revocation of transgender-affirming guidance for public schools) and on transgender servicemembers (with the proposed ban on open service for transgender people). Additionally, nearly 200 businesses signed a Business Statement for Transgender Equality, stating unequivocally that protecting transgender Americans from discrimination improves a business’ bottom line and substantially increases the ability to attract and retain top talent. Meanwhile, momentum has continued in 2018 to block President Trump’s shameful attempt to ban transgender Americans from serving in the U.S. military. Nearly a dozen different courts across the country have delayed implementation of the proposed military ban, citing its inherently discriminatory nature. A court in Washington has also ordered the Trump administration to turn over documents and internal communications regarding creation of the policy. Additionally, the commanders of all four major branches of the military (Army, Navy, Marines, and Coast Guard), have gone on record in the Senate that transgender troops have no negative effect on unit morale or readiness. Since January 1 of this year, transgender people have been able to enlist in the armed forces. It is clear from the level of support shown this year by people across the country that transgender Americans can continue to make inroads to further acceptance. We will keep working at all levels to ensure that transgender people are afforded dignity and respect. To join with us and show your support for comprehensive, bipartisan federal legislation, sign our pledge here.